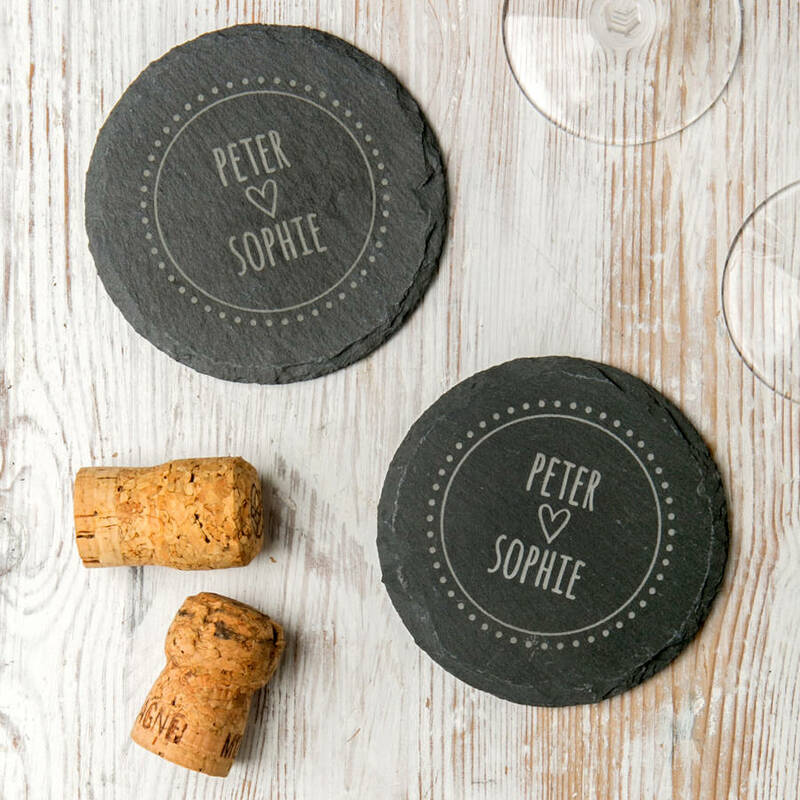 These personalised couple's coasters are engraved in stylish slate, and feature the couple's names with a heart between and a circle around them. 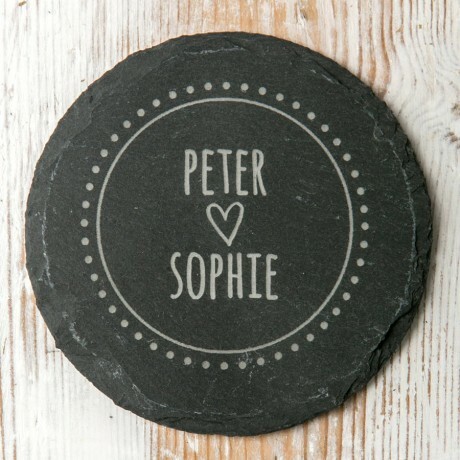 A great gift for couples, these coasters are a lovely addition to the dining table, kitchen or living room of any home. We love the simplicity and affection of this design. These coasters are sold as a pair, perfect as a gift for a newly married couple, or simply friends who love to enjoy a beverage!They're a great choice for wine drinkers, beer drinkers, gin lovers, and more. The coasters come in a set of two, and each will be laser engraved with the names you specify, so they're unique to the couple.Personalise with two first names of your choice. Both coasters will have the same wording. You can add a lovely gift box and engraved messages on the back of the coasters as extras.